Whoever said sports and politics don’t mix should come spend a Sunday in the Bay Area. Meet me here near the Golden Gate Bridge, and I’ll introduce you to the one and only Left Wing Fútbol Club—where solidarity trumps competition, where imperialism is completely offsides, and where no matter how many goals are made, the score is always 2-2. 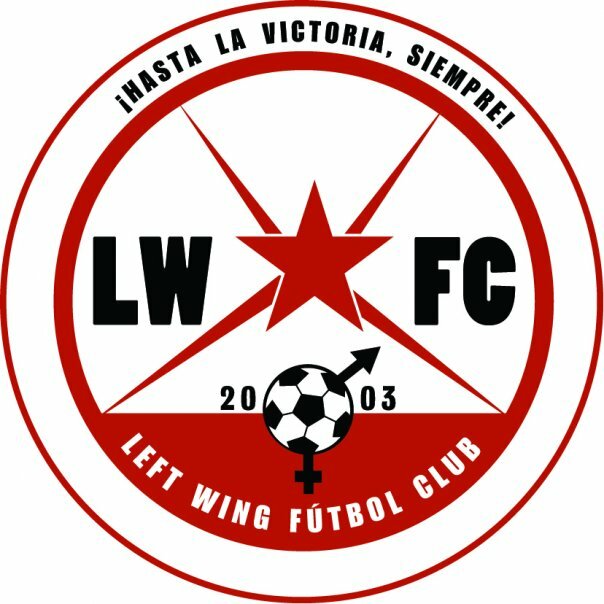 Every Sunday afternoon for the past four years, I have joined the thirty-plus members of Left Wing for this extraordinary community ritual. We are artists and activists, teachers and construction workers, elders and future elders, all united in our belief in a more just world—and in our love of the beautiful game. Soccer is the world’s sport, the only truly global language on our divided, war-torn planet. So every week when we play our Left Wing game, we are taking a small stand for peace, for justice, and for good one-touch passes everywhere. Here, we say, passing is more important than scoring. Be vocal on the field and support your team—and the other team, too, when it does well. No slide tackling—not just to prevent injuries, but to check the overaggressive, hypermasculine style of play endemic to most sports. And just to make sure no one gets too caught up in the competition, yes, the score is always 2-2.